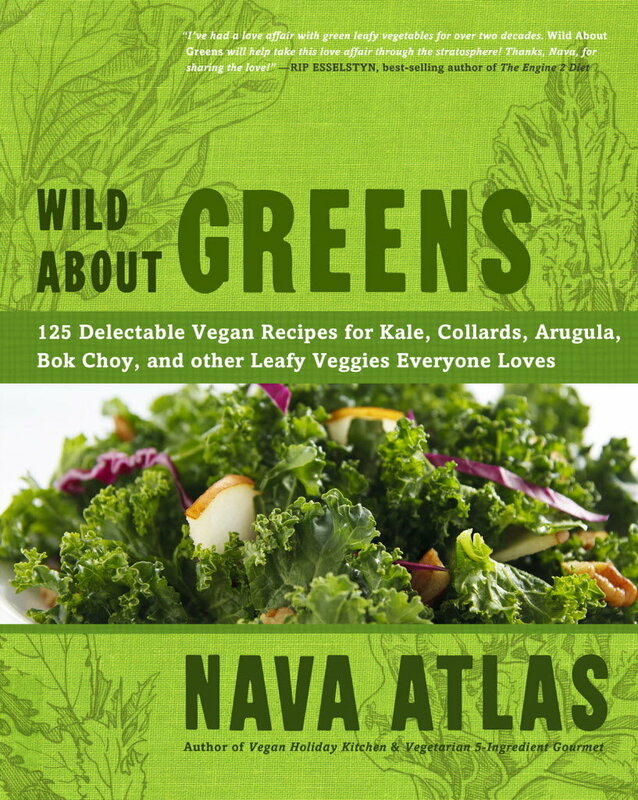 Nava Atlas serves up a comprehensive collection of scrumptious recipes, all featuring ultra-healthy, super-nutritious leafy greens. Leafy greens are a breeze to grow and prepare, and these 125 dishes showcase the most commonly used varieties in an irresistible selection of soups, salads, stews, stir-fries, pastas, and more. Nava’s up-to-the-minute ideas range from using sturdy collard greens as wrappers for savory fillings to whirling tender arugula and watercress into incredible dips. There’s even a section on beverages — green smoothies and juices have a growing legion of devotees. Leafy greens, including kale, collards, spinach, arugula, mustard greens, Asian greens, and others are considered the most nutritious foods on the planet, and Wild About Greens makes it easy and delicious to incorporate them into daily fare. A detailed green-by-green introduction helps cooks find just what to make after bringing bunches of greens back to the kitchen from the market or garden. 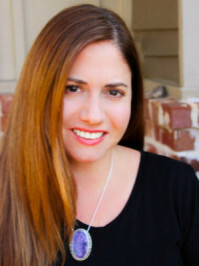 Nava Atlas is the author and illustrator of many books on vegan and vegetarian cooking, most recently Wild About Greens and Vegan Holiday Kitchen. I had the pleasure of reviewing Vegan Holiday Kitchen here where I made the most amazing Vegan Matzo Ball Soup and instantly became a huge fan. 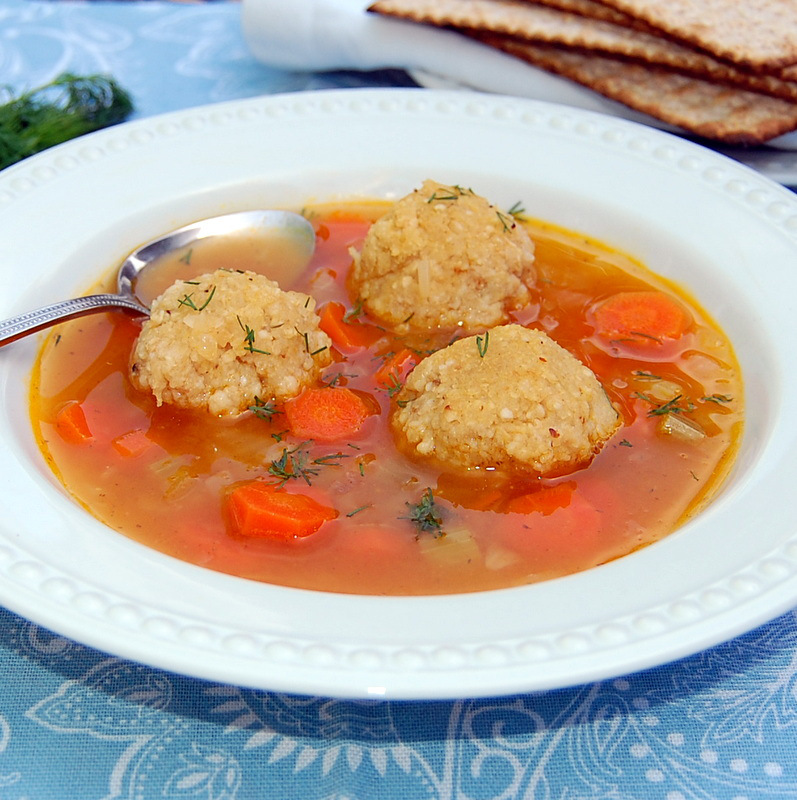 This soup is my go-to recipe every year for Passover – it really is that good. Her newest book Wild About Greens is amazing. I do a lot of my cooking/prep on Sundays so I don’t have to worry about eating healthy during the week. Having three kids is keeping me super busy nowadays and I need to make sure I have plenty of delicious sides on hand at all times. This way I can throw together quick, healthy lunches and dinners for my family. 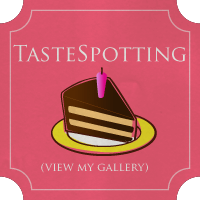 This review is not complete without mentioning that the beautiful photographs in the book are by the lovely Susan Voisin from one of my favorite blogs Fat Free Vegan. Susan talks about the book and shares another recipe for Nava’s Three Potato Salad with Arugula. If you haven’t been to Susan blog – head on over there – it’s one of the best vegan blogs out there with tons and tons of delicious and creative recipes and information. I have made several recipes from this book and haven’t been disappointed once. The White Bean & Greens Burgers are so hearty and tasty – great served with her Very Green Avocado-Tahini Dip and a big green salad. 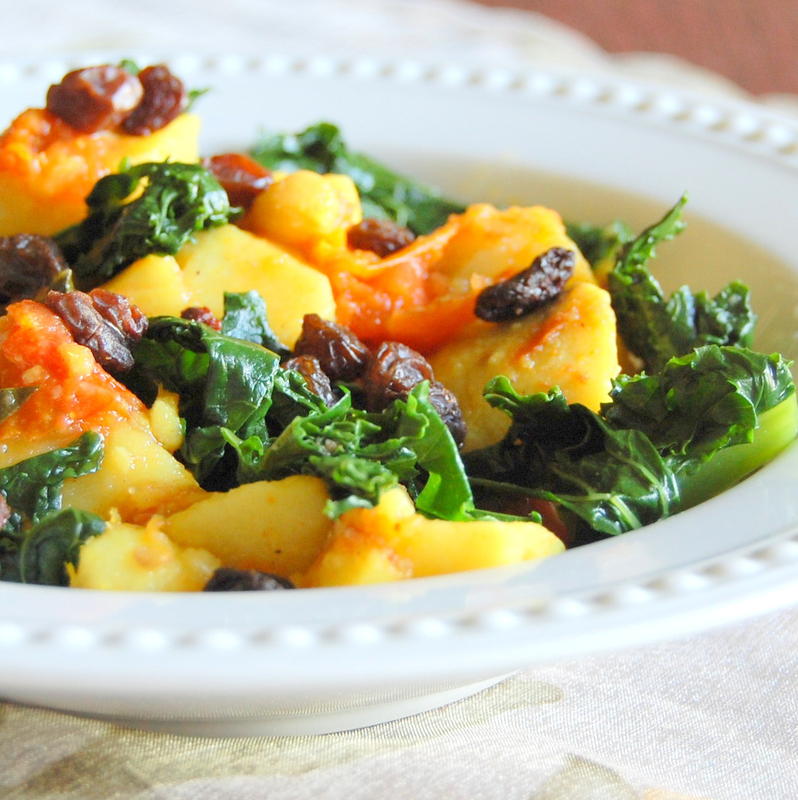 We really loved this recipe for Curried Sweet Potatoes with Chard & Chickpeas. A superb fusion of flavors permeates this nourishing harvest dish. Serve it like a stew in shallow bowls, accompanied by warm flatbreads. Heat the oil in a large skillet or a stir-fry pan. Add the garlic and saute over low heat until golden. Add the sweet potato dice and about 1½ cups of water. Bring the mixture to a simmer and cook until the sweet potatoes are tender, adding just enough additional water, if needed, to keep the mixture moist as it cooks. Stir in the chickpeas, tomatoes, scallions, curry powder, ginger, and cumin and bring the mixture to a simmer again; cook over low heat for 10 minutes or so, until the tomatoes have been reduced to a sauce and the flavors have mingled. Meanwhile, strip or cut the chard leaves (and beet greens, if you're using them) away from the stems. Slice the stems thinly, and cut the leaves into strips. Add the chard to the skillet, in batches if necessary, and cover. Cook briefly, just until the chard wilts, and stir into the mixture. Cook over low heat for 5 minutes, or until the chard is tender but not overdone. Stir in the cilantro and optional raisins. Season with salt and pepper, then serve. Variation Stemmed, coarsely chopped mustard greens or spinach or whole baby spinach leaves can be used in place of chard, using the same directions as for the chard. If you'd like to try kale or collard greens in this dish, I'd suggest steaming or stir-frying these greens before adding them to the dish in the last step. You can also vary the kind of beans in this recipe. Try black beans, red beans, or pinto beans. This Giveaway is now CLOSED, thanks to all for entering! Now for the Giveaway and good luck! Like Nava Atlas on Facebook and leave a comment on her wall. All entries must be completed no later than Tuesday, July 9th 2013, at 11:59 p.m. EST. Winner will be announced on Wednesday, July 10th 2013, on my blog, and the winner will also be notified via the email address they provided in the comments section. Blanched and then thrown in the pan with some other veggies for a quick stir-fry! I am always looking for new ways to add greens! Loved when you introduced us to the heated cole-slaw!!!! You are truly wonderful. My favorite way is raw in a salad of some kind and I love adding greens to my pasta dishes. Fav way to eat greens is steamed with some garlic & lemon. I love green smoothies and giant salads, but my favorite dish with greens is a one skillet meal with gnocchi, swiss chard, tomatoes and white beans. YUM! Thanks for the chance to win this book, I love Nava’s recipes. I pinned this giveaway to Pinterest. I like Nava Atlas on FB and commented on her wall. I like you on FB and commented on your wall. I’m a VVM email subscriber. I usually toss them in stirfry or in a bowl of pasta and other veggies. I love to lightly saute greens in coconut oil with some scallions and garlic or enjoy them in a big salad! I throw some frozen greens (chard, kale, collards) in my morning smoothie. “Braised” in veggie broth with lots of garlic, topped with lemon juice, caramelized onions, and crushed red pepper. I liked Nava Atlas on Facebook. My favorite would be sautéed with garlic then mixed with white beans of some sort, olive oil, lemon juice, salt and pepper… but I have come to leave greens so I toss them into pretty much anything-soups, omelets, salads, you name it. My favorite way is problably a giant salad – usually kale with avocado. I also love to get my collard greens by using them as wraps. Thanks for the chance to win! Baked with a little olive oil and sea salt! Or stir fried…or thrown into a smoothie! Add another Twitter follower to your list! My favorite way to eat greens is in a green smoothie! kale, swiss chard and spinach combined with pineapple, banana, mango, with coconut water and goji berries! My favorite way to eat greens is steamed with a delicious almond miso dressing that my husband makes. Or greens in chip form, of course! I already liked Nava Atlas on FB, but I left a comment. I am subscribed to your email list. I like you FB page and left a comment. I am following Nava Atlas, as well. Thanks! I pinned the giveaway, too. LOVE smoothies with some hidden greens 🙂 or salads! YUM! I shared on FB 🙂 Thanks for the awesome giveaway! I hope I win! I like putting them in a smoothie, and I love sauteeing kale with most anything. Also, kale quesadillas with vegan cheese! I followed Nava on Twitter. I love greens, especially sautéed with some garlic or in my morning smoothies! My favorite way to eats greens remains as a base for veggies in a salad! My favorite way to eat greens is salads! I crave salads! Also happy to have the two facebook pages to like and follow! I followed and tweeted you! I get so excited about greens…just a simple preparation of say, kale with lots of garlic, a little coconut oil, salt and pepper. Ummmm. Already liking Virtual Vegan Mama on Facebook and left comment on your wall. I liked Nava Atlas on FB. Thanks for the Giveaway. I “liked” Virtually Vegan Mama on Facebook. Hope to get some yummy recipes in my news feed. Shared Wild About Greens giveaway on Facebook wall. shared your page on facebook! Subscribed to Virtual Vegan Mama. I love all types of greens in soups and salad. Would love to win! I liked Nava Atlas on FB. Thanks for the Giveaway. I have most off her books. Love them! I like using greens as a low cal filler in stews! I usually like using greens for salad…this would expand my ‘horizons’. Karen Goodwin Delaney likes Nava Atlas on Facebook and I left a comment on her wall. I subscribe to Virtually Vegan Mama via email. Karen Goodwin Delaney likes Virtually Vegan Mama on Facebook and I left a comment on your wall. I love raw greens & other veggies with olive oil, some sort of vinegar, cumin & turmeric sprinkled atop & a splash of coconut oil if I have it. I love kale, onions, mushrooms, and eggs sauteed for breakfast. I like to prepare most greens sauteed in olive oil with garlic. I’d love some inspiration! My favorite way to eat greens is a fresh bowl with a mix of greens from my garden with sea salt & sunflower oil – YUM! I Tweeted about the giveaway and posted “I just entered to win Wild About Greens Cookbook! @virtveganmama @navaatlas2″. I love greens sauteed using mushroom broth, sliced baby bellas, black beans or white beans, garlic and a shake or four of Jane’s Krazy Toasted Mixed-up Sesame Seasoning. I liked Nava’s FB page and left a comment on her wall. Didn’t realize this book has been out a while…whoops! I subscribed to VVM – via email. I liked the VVM FB page and left a comment. I tweeted about the giveaway too! I’m following you via Twitter. I’m following Nava Atlas on Twitter. While I love greens in every way possible…salads, stir fry, smoothies, burgers, main dish, side dish or even munching raw while cooking…I think my most favorite would have to be Kale Chips. They fill that desire for crunchy, snacky food…I can consume an entire bunch of kale in one sitting…AND IT’S COMPLETLY HEALTHY! Veggie popcorn. I subscribed to Virtually Vegan Mama! Nothing spectacular but one of my favorite ways to have my greens is to add a mixture of greens to my smoothie each evening. I pack the container FULL of a mixture of whatever I have on hand, romaine, butter lettuce, spring mix, baby spinach, baby swiss chard, baby kale, even arugula or beet greens. Delicious!! My “go-to” with greens is a sheet of nori, half an avocado, and lime juice. Open the nori sheet, fill with a handfull of greens, I cut the half of the avocado into squares and sprinkle them over the greens, then I add the lime juice all over the avocado and greens. Then, I wrap it up! Delish! We really like many (most of) our greens barely cooked; usually steamed a tiny bit. Thanks for the giveaway and good luck to everyone who enters. I like Nava Atlas on Facebook where I am Margot Core and I left a comment on her wall. I like Virtually Vegan Mama on Facebook where I am Margot Core and I left a comment on your amazing looking Spanikopita recipe on your wall. I like to use them in smoothies! My fave ways to eat greens are in smoothies, and in big salads! I’ve shared this on my Facebook Page One Small Vegan. I’ve liked your Facebook Page and made a comment, as One Small Vegan. Looking forward to following! I love to drink my greens! Whole Foods makes a smoothie called “Drink Your Greens.” It’s kale, spirulina, frozen strawberries and a banana. Delicious! I’d really like to learn how to prepare my own healthy food at home, and make it a part of my lifestyle, especially since my breast cancer diagnosis last November. My new favorite way to eat greens, especially kale, is steamed and drizzled witha fruit vinegar. My favorite vinegar is cinnamon pear balsamic. yummy!. Love vegan matzoh ball soup. I’ve been making mine with veggie broth; love the look of the tomato. still looks yummy. and i’m still making this for passover! I don’t, but that’s a good idea to make one!! !